I have been revising some of my old AD&D and D&D adventures for the Pathfinder system. One of my favorite adventures is Kelok’s Tomb. The first time I ran it, the party was defeated and enslaved. After being betrayed by one of their own , they managed to overcome the monsters and win the day. The second time I ran it, the main villain escaped to plague the PCs until he was finally defeated and redeemed. Rumor has it that conservative pundits are not denying that they have said that these incidents are clear metaphors of the 2008 election and the redemption of Mitt “Weremitten” Romney from wereliberal to conservative. I am, not denying that there are not such rumors not being made. However, I can assure readers that this adventure was not written in Kenya. 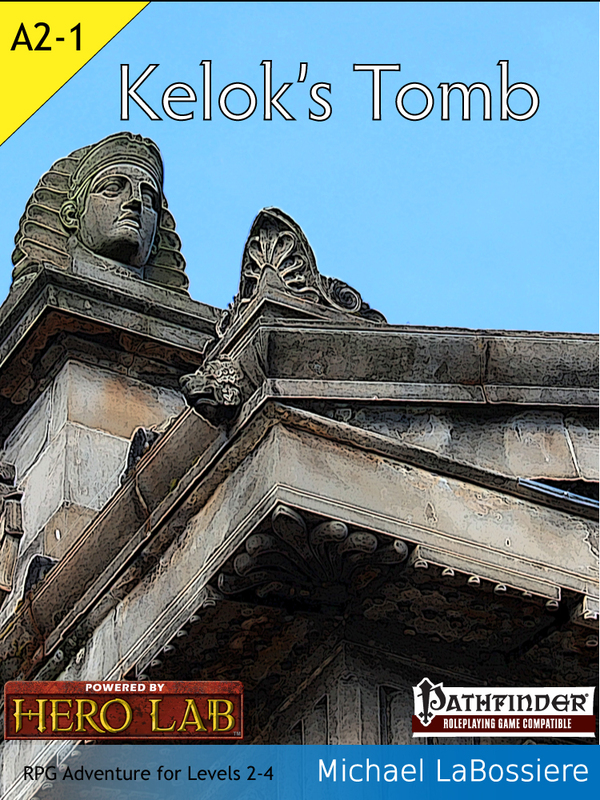 It is said that 150 years ago the wizard Kelok was interred in a tomb of his own design. As a wizard, Kelok did achieve some minor fame by developing original spells, some of which were said to have been extremely dangerous to the caster. While some members of his family have claimed that he developed some of the spells still used today, unbiased experts claim that his original spells have all been lost. His detractors claim that this is a good thing, at least for wizards who prefer not to be imploded by their own magic. Because of his love of magical research and dangerous machines, it is perhaps fitting that the legends claim that he met his end whilst researching a new spell. Those friendly to his memory claim that he perished while nobly expanding the boundaries of magical knowledge. His detractors insist he perished while making his last and greatest mistake. Whatever the truth of the matter, nothing has been heard from Kelok in 150 years and it has long been accepted that he perished and was placed within the tomb of his own design. Little is known of his tomb. According to legend, the tomb was located in the wilderness to keep unwanted grave robber and pilfering adventures away from his treasures. However, there are also stories that are not completely devoid of plausibility that tell how Kelok hired people to care for his tomb and that his friends regularly visited the tomb to utilize its well-stocked library. There are, of course, the usual myths and legends that accompany the tomb of any wizard of note, namely that it is packed with great wealth, fantastic items, as well as books full of unknown magic spells. Naturally, there are also the usual tales of the elaborate precautions, terrible traps, and vicious monsters that protect the tomb.